Looking for someone to manage your vacation home? With the hundreds of options out there, how do you choose the right one? Led by industry veterans Anup and Hita Shah, Alpha Vacations is transforming the short term rental market one property at a time, by setting new standards for vacation home owners and their guests. 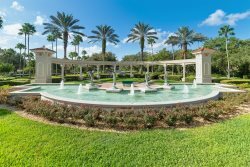 Alpha Hotel Group already manages hotels across Florida for non-resident hotel owners and through a team of talented professionals who ensure exceptional guest experiences, excellent returns for their owners, and maintain a reputation of excellence as a results-oriented hotel management agency. Alpha Vacations now delivers the same level of professionalism and more than 40 years of hotel ownership and management experience to the vacation home market. Our primary goal is to bring the same consistency in quality, professionalism and customer service you would expect from a hotel, to the vacation rental market. We know what it takes to run a successful vacation rental management company. Providing quality customer and concierge services, as well as using professional employees is what sets us apart from the rest. We treat each home as our own, from detailed check in/out inspections, proactive preventative maintenance checks, and our energy/cost saving solutions, you can ensure your home is in great hands! We know what customers are looking for in a vacation rental, and with our marketing experience and expertise, we know how to showcase our homes in the best possible way. In addition, we have a number of tools and resources available to us that allows us to maintain a competitive edge in the market. Utilizing our extensive partner network, our contacts, and multi-channel booking services, we know we can deliver for all of our owners! We understand what makes a vacation home right for our guests. We make it our business to provide the highest standards, that go above and beyond our guest's expectations. By providing the finest in vacation rentals we can ensure that our guest's vacation is a success no matter which property they decide to stay in. When you are putting your rental in our hands as an owner, you can be sure that you working with the best.